Katie Meyer: Where Did Summer Go? It's only the beginning of August, and already I'm seeing first day of school photos, back to school sales, and all that goes with the start of a new school year. Call me old fashioned, or just plain lazy, but I'm not ready for school yet. Not even close. We're a homeschooling family, so I have the luxury of setting our own school calendar, but it does get tricky when we are out of sync with public school friends. Even so, I'm seriously considering waiting until the first week of September to start. On the flip side, sometimes I'm tempted to go the other way and do a year round schedule, 6 weeks on, 1 week off. But I'd probably regret that come next June. All I know is right now is I'm not ready yet! 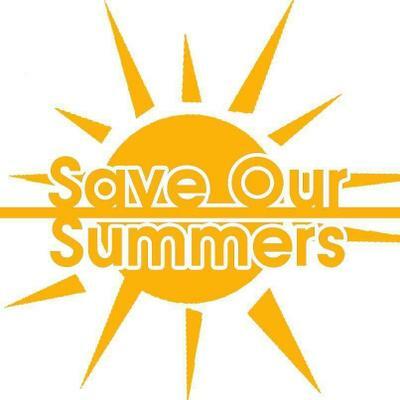 And it seems I'm not the only one, lots of people around the country have started Save Our Summer campaigns. What do you think?